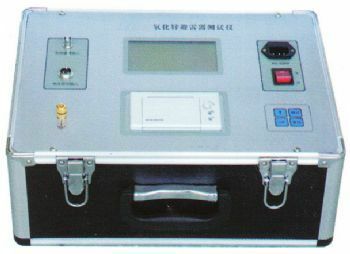 Compact lightning counter tester is specially designed according to needs of power consumer. The tester is fabulous, portable and popular, could be replacement of traditional measuring device. Ni-H rechargeable battery pack, completely avoid battery replacement or damage caused by battery fluid leakage. 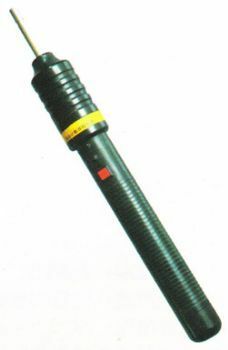 Power switch is located in between the body and head, rotated 90 degrees in any direction. When heard “rattle” sound after that power is on, otherwise power is off. Before use insert grounding wire in the rear. The green light will be on when connected to power. When the red light is on (about 3 to 5 seconds later), test the lightning counter through flexible conductive rod. No need to turn off the power to repeatedly test (during each charge conductive rod should leave the test object). 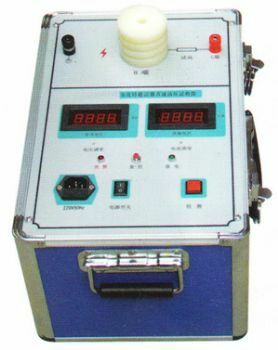 The instrument is used to test specific parameters on field or in laboratory for zinc oxide arrester. It is widely used in on-site inspection (live testing) and laboratory tests (power cut overhauling). It is in line with national standards in DL474.5-92 On-site Insulation Test Implementation Guidelines- Arrester Test. Beside above measurements, voltage and full current waveforms could also be displayed.